This February cannot come in your life time again. This year's February has four Sundays, four Mondays, four Tuesdays, four Wednesdays, four Thursdays, four Fridays an four Saturdays. This is called miraclein. Therefore according to Luke 2: 52, "And Jesus increased in wisdom and stature, and in favour with God and man" This happens once every 823 years. 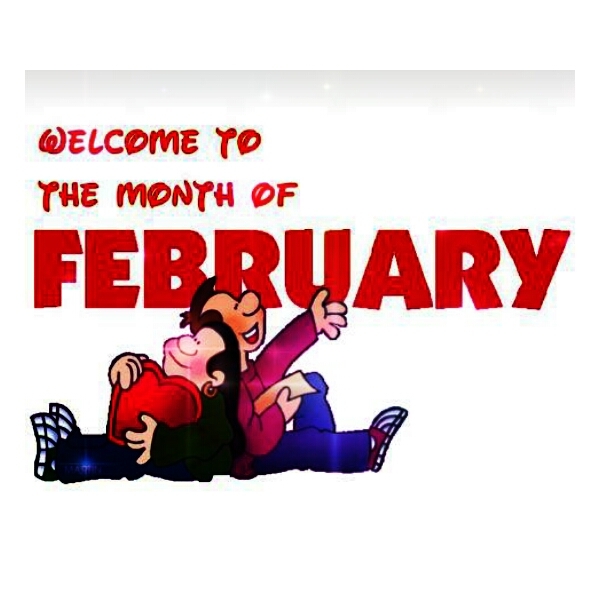 This is the first day of February, 2019. In this new month, the Lord will surely arrive for you and all that concerns you in Jesus name. Amen. You will not depart from the presence of God and His presence will surround you like a shield in Jesus name. Amen. Doors of blessing, unmerited favour and mighty breakthrough the Lord will open unto you and all that concerns you in Jesus name. Amen. Your steps shall be ordered by the Lord God of Israel in this new month in Jesus name. Amen. Exodus 13:21" And the LORD went before them by day in a pillar of a cloud, to lead them them the way; to go by day and night:"
Exodus 13:22" He took not away the pillar of the cloud by day, nor the pillar of fire by night, from before the people." The LORD will be fully involved in your journey of this month. He will be there for you in every stages and help you out. The lord will empower you to pull down your stronghold this month. All your needs will be meet this month and songs of victory will be yours. All impossibilities of past years/months will become possible this month.Every desperate need will be meet this very month. Every problem in your life and family will disappear this month and never appear again.Your time of refreshing and enjoyment will appear this month and never go anymore. There will be restoration of all your losses this month and never be taking away again. Everything that is not bringing your expectations will die this month by fire. Your enemies will be completely destroyed this month and your battle's ended in Jesus name. Happy New Month. Enjoy a very fruitful and Christ dominated month in Jesus name. Amen.